« Don’t Miss the 2017 Alpine Ski World Cup at Killington! 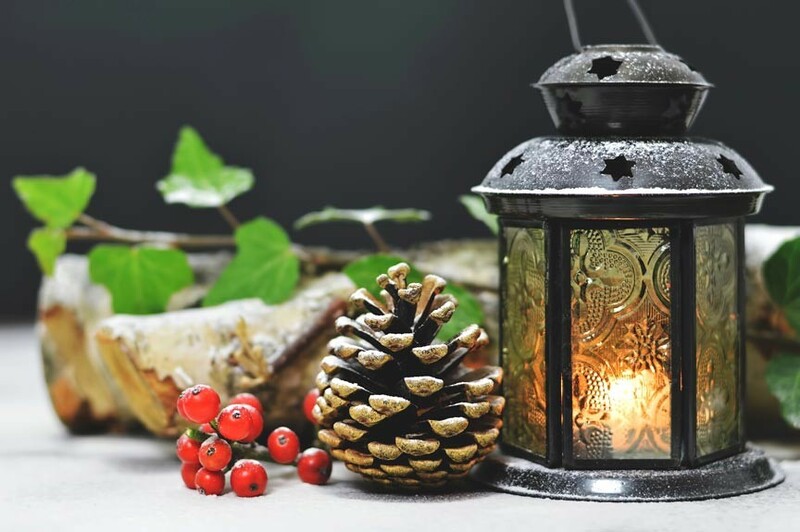 Come to Plymouth Notch, Saturday, December 2nd, 2017, and celebrate the holiday season 1800’s-style at the 2017 Coolidge Holiday Open House. Plymouth Notch is a Vermont village that is so picturesque it looks like it fell out of a history book. The village, which is also the birthplace and boyhood home of President Calvin Coolidge has remained virtually unchanged since the early 1900s. Consequently, it’s is an absolutely wonderful place to visit for the holidays! President Coolidge’s Birthplace will be decorated as it would have been in the 1870’s, when Coolidge was born. In fact winter exhibits and Christmas decorations will be up all over this historic village. The Aldrich House, Plymouth Cheese Factory, and the 1924 Summer White House office will all be gussied up for the holidays. Coolidge Holiday Open House 2017 is more than just a bunch of decorations and exhibits, however. 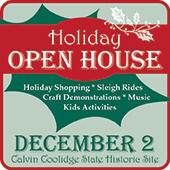 Visitors to this free event will also enjoy sleigh rides, old-time music, craft demonstrations, and more. The Chocolatorium alone is always a big hit. Who doesn’t want to make and sample chocolate? Lunch at the Wilder House restaurant is always a treat but especially so during the holidays. Bring along your holiday post cards and letters for a special, 2017 Coolidge Holiday Open House cancellation stamp at the historic Plymouth Post Office! Special readings and musical performances will also occur throughout the event. You don’t have to wait for the holidays to visit Plymouth Notch and the Calvin Coolidge Homestead. The Aldrich House is open Monday through Friday year-round with interpretative exhibits for winter visitors. Plymouth Notch, itself, is open to visitors at any time. Looking for accommodations in the Woodstock area? Why not rest your head where it will be the most comfortable: Deer Brook Inn! Deer Brook Inn is minutes from Plymouth Notch in Woodstock, VT. Our spacious guest rooms, locally-sourced breakfasts, and personal attention will make you feel like visiting royalty. Book your room at Deer Brook Inn today!